The aviation industry has continually created debate about a shortage in aviation capacity in the UK resulting in a push for growth. London airport foreign owners often try to link their desire for profits and expansion to the needs of the UK economy. Aviation expansion typically focuses on runway infrastructure and this is what the Airports Commission (AC) was set up to investigate capacity in the Southeast of England. The final AC recommendation announced July 2015 has been found to be flawed. It has also been shown that the capacity crisis is a myth. Another ‘crisis’ created by the aviation industry concerns airspace usage. The aviation industry, pushing for greater flight volumes and even more profits, requires extremely efficient usage of our airspace. They claim current airspace is a major factor limiting capacity now and that the UK airspace system was designed over 40 years ago, that it has not been comprehensively updated since that time and that it is designed around aviation capabilities of decades of old technology. In reality, they want to triple current flight volumes and this quest for more planes in the sky cannot be achieved with the current airspace structure. In 2008, the Transport Select Committee held an enquiry into UK airspace. Based on evidence provided by the aviation industry, the Civil Aviation Authority (CAA) drew up a Future Airspace Strategy (FAS) to modernise the UK airspace system. All of this change is being driven by European legislation to modernise European airspace. The FAS strategy ties in with a European airspace initiative called SES and with a global program to streamline and automate the aviation industry, SESAR. It is claimed that the modernisation of UK airspace will support the UK Government’s aviation policy objective – to maintain the country’s international hub connectivity. In the near term, the CAA says that FAS initiatives can increase existing runway capacity. Over the longer term (beyond 2020) modernisation of UK airspace will enhance the aviation sector’s ability to adapt to future airport developments and increasing flight volume growth and possibly airport expansion. 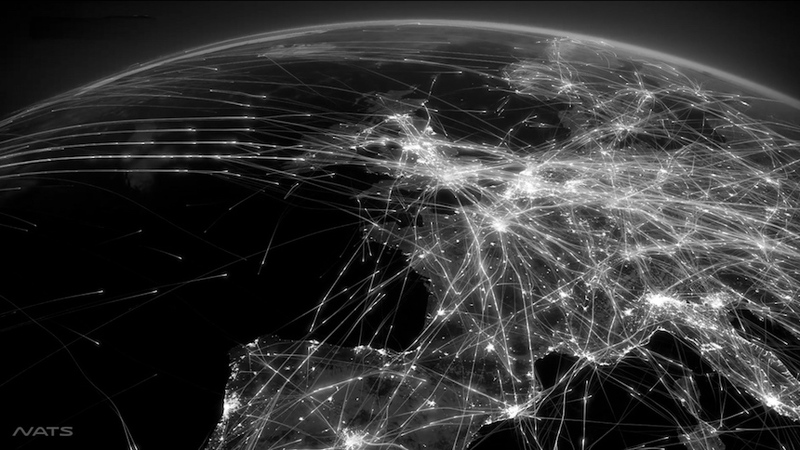 En-route airspace managed collectively by the UK and Ireland is called a Functional Airspace Block (FAB). Airspace in the UK and Ireland FAB is not being developed in isolation. The Single European Sky (SES) initiative was established to tackle inefficient, costly and fragmented airspace structures across Europe. The UK FAS Deployment Plan contributes to the implementation of European SES objectives. In particular, through local deployment of solutions developed within the global SESAR programme. On the global stage, FAS is aligned to the International Civil Aviation Organisation (ICAO) Aviation System Block Upgrades (ASBUs) and the US ‘Next Gen’ Program. IN BOTH OF THESE PLANS, THE WORD ‘NOISE’ CAN ONLY BE FOUND ONCE! The UK FAS Deployment Plan relates to the first phase of FAS implementation between 2013 to 2020. This plan has been developed in a collaborative way with Air Navigation Service Providers (NATS in the UK), aircraft operators, airports, the military and regulators all represented on the FAS Industry Implementation Group (FASIIG). Implications for the public in terms of noise and pollution and their interest in these plans have been overlooked. In fact, the industry see the public response to their plans as a high level risk to successful implementation. Connecting airports electronically into the network to share accurate information and to better sequence departures and arrivals. Under FAS, plans to optimise the capacity of the London Terminal Control Areas (TMAs) airspace have been developed as part of the London Airspace Management Programme (LAMP). LAMP is part of the FAS deliverables expected of NATS via the license granted to them by the CAA. We have not yet determined what the CAA’s new approach to implementing changes impacting 28.9 million people in the South East of the UK will be, but believe that the issues many communities are experiencing NOW from flights concentrated within NPR’s, planes flying much lower for much longer than ever before, high frequency of vectoring off Navigation Preference Route’s, stack usage changes in the Heathrow area as well as a massive increase in noise levels significantly impacting those on the ground, all relate to efforts to implement changes relevant to the plans outlined above.